These are some of the household names of online gambling – and they’re the game developers you’re probably used to seeing at most of the online casinos you play at. There are, however, a number of smaller game developers who – despite going up against the ‘big guns’ – are making their names known in the online gambling world, and in this post, we’re going to be taking a look at who some of these ‘up-and-coming’ are, along with some of the game’s they’ve developed. So, without further ado, let’s make a start! Relax Gaming isn’t a new game developer – but the last few months have seen them rise in popularity – and this is largely down to the fact that they received a license from Big Time Gaming to utilize the ‘Megaways’ game mechanic. Relax Gaming was founded back in 2010 by Patrik Österåker and Jani Tekoniemi, and the Maltese-based firm was – in their own words – ‘founded in a pub’. 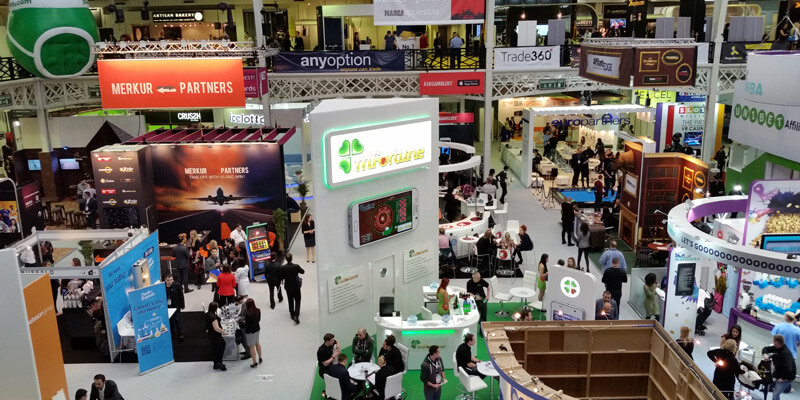 The company started off by creating poker and bingo products – and while they’d attempted to throw their hat in the ring in the world of casino games, until recently, they’d not had any real success in doing so. Things started to change a couple of years ago when the developer secured contracts with Push Gaming, to develop a number of games for them. These games included Dragon Sisters and Wizard Shop – and they’ve both become successful slots for Push Gaming. 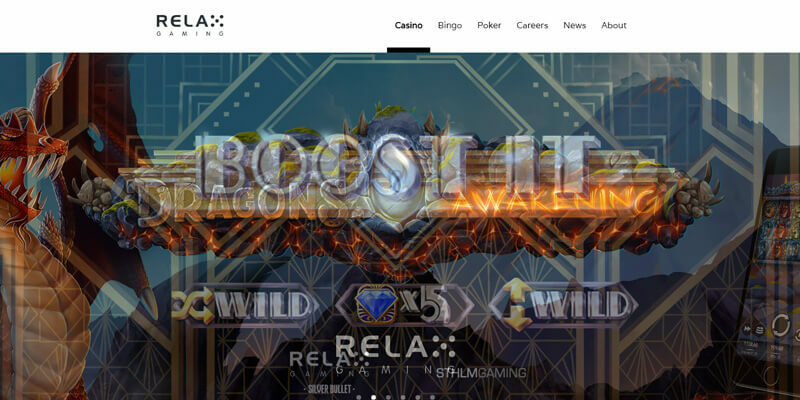 Relax Gaming’s real success came once they’d received a license from Big Time Gaming (to build slots with their Megaways format), however, and the first was called Machina. Machina was build in conjunction with Kalamba Games, and it features a sci-fi theme, with 6-reels and a varying number of rows and symbols on every spin. It’s set in a futuristic world, and it achieved fame for it’s ‘Feature Buy’. While this is a controversial feature in any video slot, Relax Gaming decided it was a good idea to incorporate it into Machina, and it allows you to automatically trigger the Free Spins Bonus. You can choose to purchase either 10, 12, 15, or 18 free-spins – but beware; it’s incredibly expensive, and you can end up paying over 300X your stake, to trigger the 18-spin bonus! Now, Machina proved to be a pretty successful game from Relax Gaming, and it was quickly followed up by Temple Tumble Megaways. This game features cascading mechanics, and – most notably – a ‘pick your own feature’ free-spins bonus, which allows you to choose your own volatility within the game. It’s fun, fast-paced, and relatively easy to trigger the feature… and, as you’d expect from any Megayways slot, it also carries some massive win-potential too – so it’s not hard to see why it’s become a popular hit with players. While Nolimit City are nowhere near one of the biggest names in the online gambling world, they too have started to broaden their reach, and their games can now be found at an increasing number of online casinos around the world. 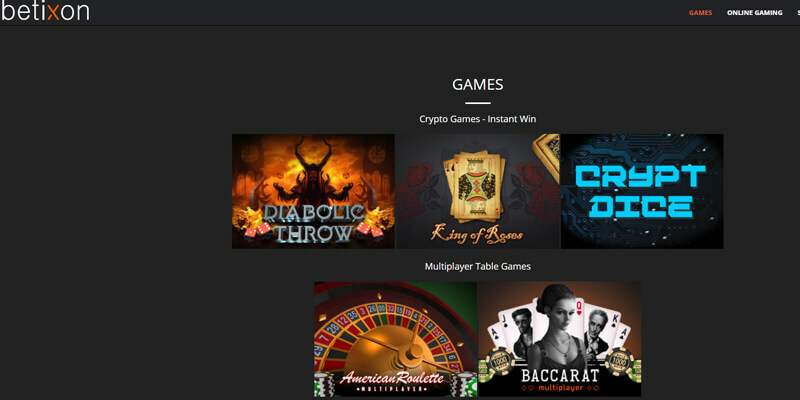 Their game portfolio is starting to widen, and today includes a number of titles including Starstruck, Owls, Fruits, Ice Ice Yeti, Dungeon Quest, Hot Nudge, Coins of Fortune, Tesla Jolt, Casino Win Spin and Kitchen Drama: BBQ Frenzy. While they’ve got a lot of work to do yet (and this includes needing to add casino table games and video pokies to their game-range), they’re definitely moving in the right direction, and we look forward to seeing where the game developer head next! While Revolver Gaming currently only hold a license from the UK’s Gambling Commission, we’ll likely see this changed in the coming years, and it’s highly-likely that they’ll be applying for licenses from the MGA (Maltese Gaming Authority), and possibly Curacao. 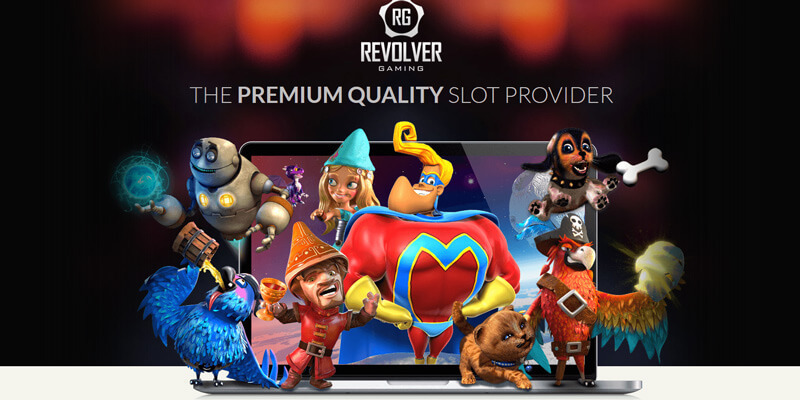 Revolver Gaming have a number of semi-popular games, including the likes of Neon Blaze, Reign of Gnomes, Parrots of the Caribbean, Wishes, GoodFishes, and LOTTO Lucky. “With virtual reality (VR) now very much on the cusp of mainstream adoption, we’ll see the first signs of traditional slot games redesigned for play in virtual worlds. “Progressive jackpot games are among the most popular in all operator game lobbies, offering players the chance of a life-changing win for a relatively low stake. It remains to be seen as to whether Revolver Gaming – themselves – use any of the afore-mentioned technologies, but it’s refreshing to see that the company are taking it seriously – and we expect to see exciting (and big) things from them in the future. Chance Interactive are, perhaps, one of the biggest names on this list – and despite not having a huge portfolio of games, they’ve managed to please players all around the world, through their use of high-quality graphics, and seamless game mechanics. 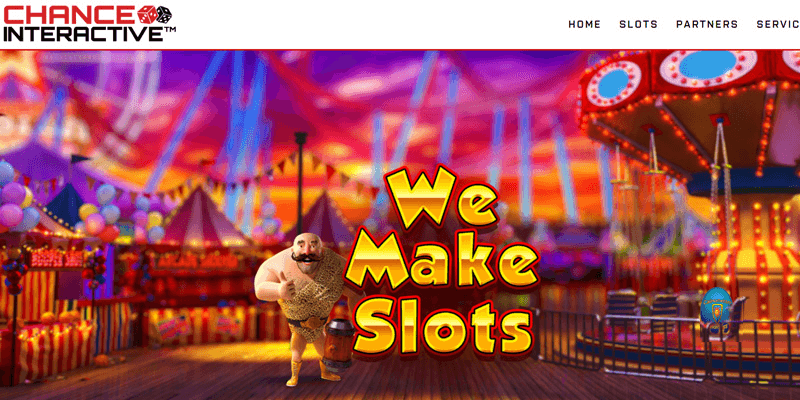 Some of their most popular slots currently include Buster Hammer Carnival, Dragon 50,000, Rogue Treasure, Buster Hammer, Lolly Land, Bounty Hunt, Creepy Castle and Canyon Cash. Chance Interactive already work with some of the biggest names in the online gambling world, too, including the likes of LeoVegas, Bet365, Betsson, Betvictor, PokerStars, William Hill, Ladbrokes Coral, Vera & John, Lottomatica, Kindred, Rank Group, Goalbet, Optibet, Red Queen, Slotsmillion, Tain, Tipico, Tivoli, Videoslots, and Sisal. They also work with a number of developer partners, and this includes NextGen Gaming, Lightning Box Games, GamesLab, and Big Wave Gaming. Alongside their in-house game developer services, Chance Interactive also offer game developer and integration (allowing 3rd-parties to hire them to create games), and they also offer a unique ‘Slot Maths’ service, which allows other developers to have the mathematical side of things all worked out for them! While the company has been around for a while, it’s only recently that they’ve started to build themselves a real name in the online gambling world, and it’s likely we’ll be hearing more about them in the coming months and years, particularly if they develop more games like Buster Hammer Carnival. This exciting video slot feature massive reel sets, and the expanding wilds (combined with the ‘any-ways-pay’ game mechanics means there’s some massive win-potential on offer! The developer has a number of successful titles so far, including the likes of Deep Blue Sea, Trump It Deluxe, Stoned Joker, Super Hamster, Resident 3D, Warlock’s Book, Wild Rodeo, and Evil Genotype. 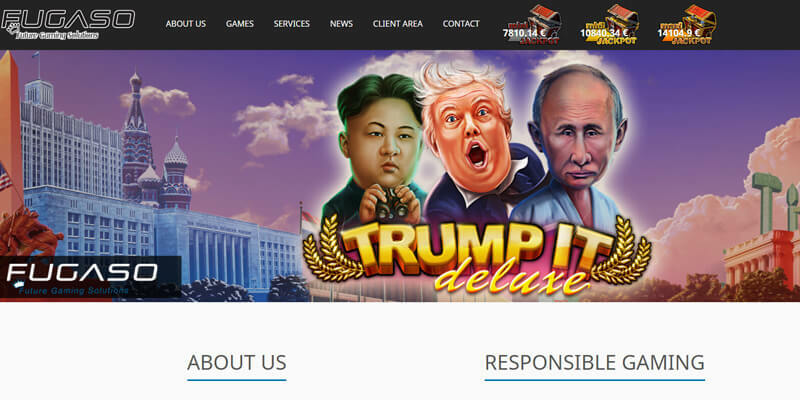 The developer is known for their wacky themed slots – you can see this in Stoned Joker and Trump It Deluxe – both of which are somewhat controversial! BetiXon are probably the least well-known name on this list – and while they’ve been around for a while, it’s only recently that they’ve started to build games that have achieved any real kind of success. 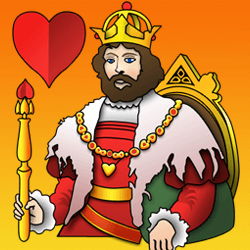 Some of their most popular games include Wild Wolf, Pig of Luck, Sir Donkey, Fortune Guardians, Pirates of Graveland, Queen of Dead, Gold Nuggets, and Rio Nights. 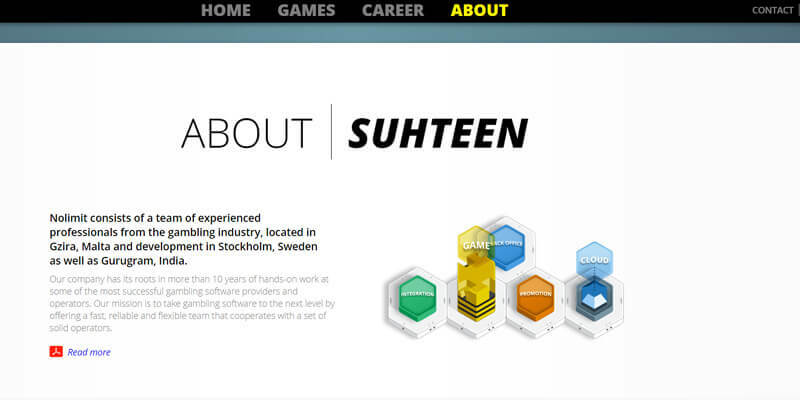 The team behind BetiXon claim to be relatively experienced, and on their website they state: “Our team members earned years of experience covering all sections in the online gaming industry: Platforms & websites development for both mobile and PC, marketing strategies, affiliates plans and tools, design, processing and payment services, financial monitoring and statements, legal, licensing and corporate structures. Whether BetiXon can manage to achieve mainstream success remains to be seen, but it is clear that there’s potential – and they obviously know a thing or two about game development! As you can see from the names above, the online gambling world is filled with game developers you may well not have heard of; yet. While the industry is – currently – dominated by the household big names, it is clear that things are beginning to change, and this comes at a time where players are looking for ever-more volatile, exciting, and creative games. Many ‘slotting experts’ believe that we’ll see a plethora of Megaways-inspired slots coming out over the next few years – and this seems likely, given the incredible popularity of some of Big Time Gaming’s releases, like Bonanza and White Rabbit. Whether smaller game developers like the ones we’ve looked at choose to license the Megaways mechanic from Big Time Gaming, or go their own way and build their own types of game mechanics remains to be seen. 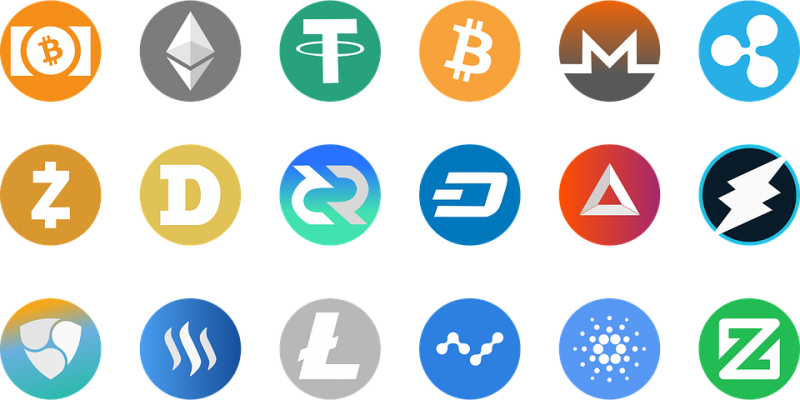 One thing is clear, however, and that’s that there are plenty of smaller and up-and-coming developers who are making a name for themselves in the industry. Do you have any favourite ‘smaller developers’ who you feel put out great games, but haven’t yet managed to build a name for themselves? Let us know in the forum!